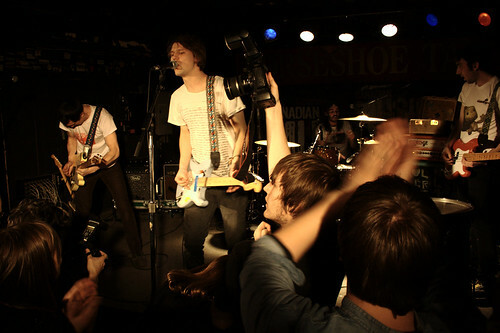 Hollerado are touring North America with Gang of Four in February, including a date in Vancouver. Not all music marketing ideas are winners. Check out some more details about the brand new christmas Gorillaz record. Writing a quality Christmas song is harder than it looks. A lot of music news right now is year-end lists. Vice had to get in on the action, of course. Think you knew how to listen to music? Think again, buddy. Copying chillwave is lame, guys. I know you faded out that photo in Photoshop and not the sun! When major labels plan how to market an artist they refer to them as “product”. Even though the lo-fi aesthetic is heavily stylised, there’s something troubling about a bunch of suits calculating the impact of adopting that kind of imagery for their releases. Our friend Andrew recorded some music this year. Listen to it, it’s good. John O’Regan/Diamond Rings has had quite a year, and his 2011 looks to be pretty good too: he was just announced as the opener for Robyn’s North American tour, starting in Toronto in late January. Photograph via. Flickr user tcp909 & Creative Commons.